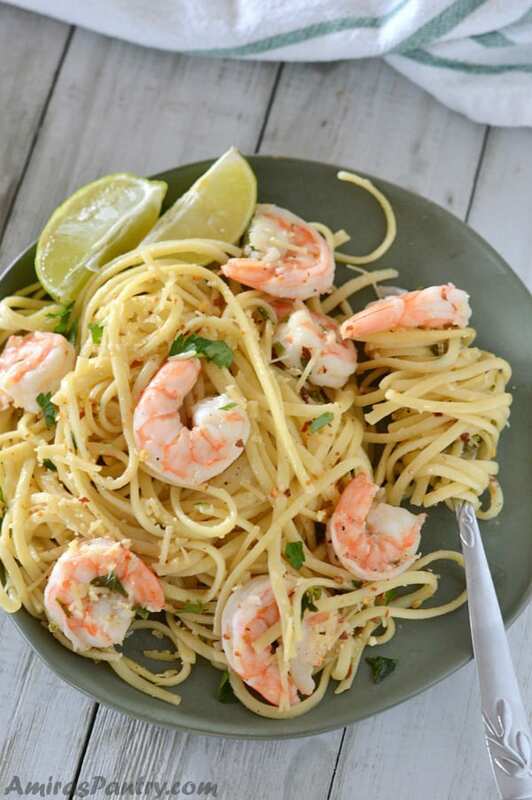 Easy shrimp scampi without wine, add pasta and you’ll have dinner in less than 30 minutes. 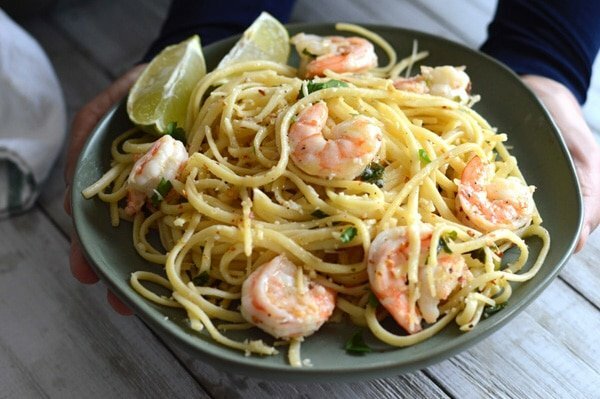 A classic shrimp scampi linguine recipe that everyone will love. 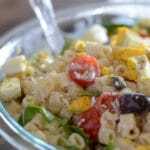 Interested in kid friendly recipes without wine? try this delicious no wine chicken Francese recipe. It is a winner! Garlicky Buttery Shrimp Scamp is the best and most welcomed shrimp recipe around my dinner table. 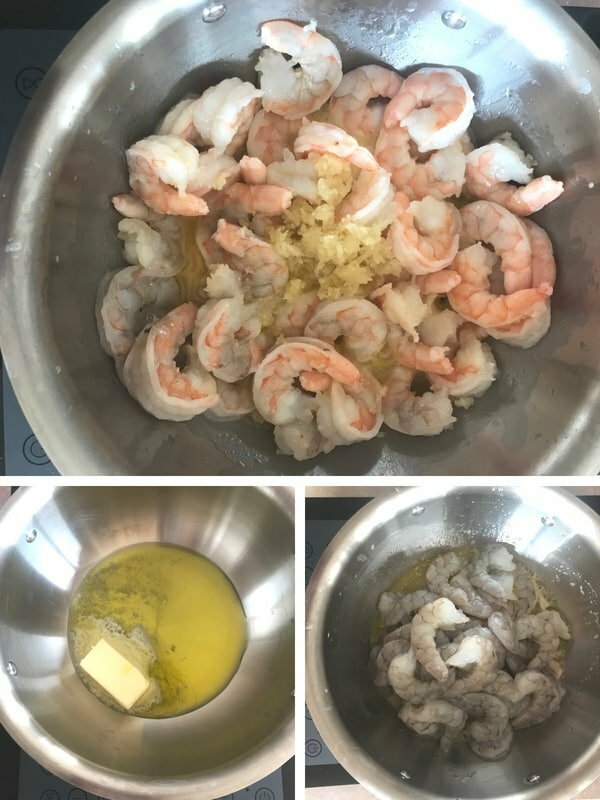 This is a kid- friendly version , a no wine shrimp scampi recipe that you can safely give to your kids or eat if you follow a no alcohol diet. Substituting alcohol is some recipes is not hard at all. Take for example this rich tiramisu recipe without alcohol, turned out great and did not affect its deliciousness. This Shrimp with pasta kind of light, easy, quick, one pan, 30 minutes, kid friendly, and a no brainer recipe. No wonder I love it, it is my kind of recipes. So, What is in a scampi sauce? Scampi by itself is a tiny, lobster-like crustacean that has been swapped with shrimps here in the United States. The sauce is a simple garlic, white wine and butter sauce. Very flavorful and goes very well with pasta or can be mopped with bread or rice. Well, you can use chicken broth or water as a substitute for white wine. Here though, I have used SHRIMP STOCK. So what is shrimp stock is exactly? Simple, DO NOT Throw away your shrimp shells. 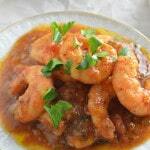 Simmer shrimp shells in water or microwave for a couple of minutes, strain and discard the shells. 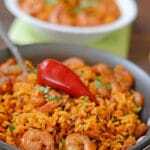 The shrimp shells are wonderful flavor enhancers and should not be discarded. 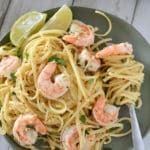 How to make Shrimp Scampi Linguine? Now, let’s head over to the step by step part of the recipe and check for yourself how easy it is. First off, I need to tell you a quick trick. The trick is to cook the shrimps just long enough that they turn pink and not until they get the texture of tires . So we need to work quick and that adds to the beauty of this dish. We’ll start by heating a generous amount of butter and olive oil in a pan then add shrimp and cook until MOST not all of them turn pink. Add another heavy dose of garlic and stir for about a minute. Reduce heat and add parsley, lemon juice, zest ( if you chose to), salt and pepper. Add the shrimp stock/water or chicken broth and mix well. Stir in cooked pasta, turn heat off and mix pasta well with the rest of ingredients. Another tip is, if you care for more sauce, add half a cup of the cooked pasta water to the pan. The starch in the water will thicken the sauce a bit allowing it to adhere to the pasta more. I’ve tried it both ways and honestly did not feel much of a difference but some people say it does路. For us it was great anyways. 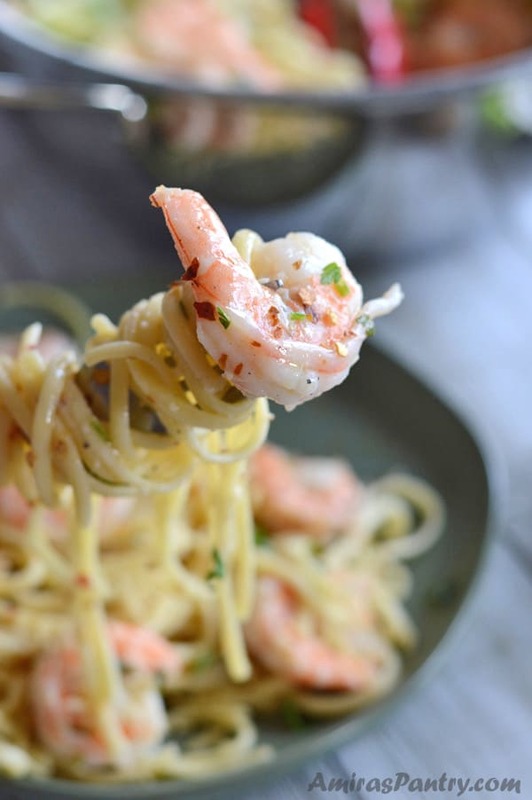 Easy shrimp scampi without wine, add pasta and you’ll have dinner in less than 30 minutes. 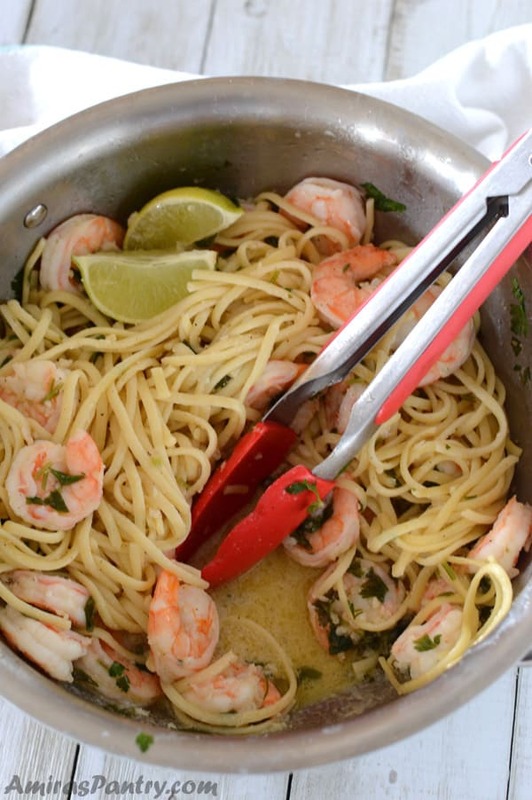 A classic shrimp scampi linguine recipe that everyone will love. 1/4 – 1/3 cup lemon juice. 1/2 cup fresh parsley chopped. 2 lb large shrimps peeled and divined. In a large pot over medium heat, melt butter with olive oil then add shrimps until most of the shrimp turns pink. About 2 minutes. Add garlic and sauté with shrimp for another minute until all the shrimp turn pink. 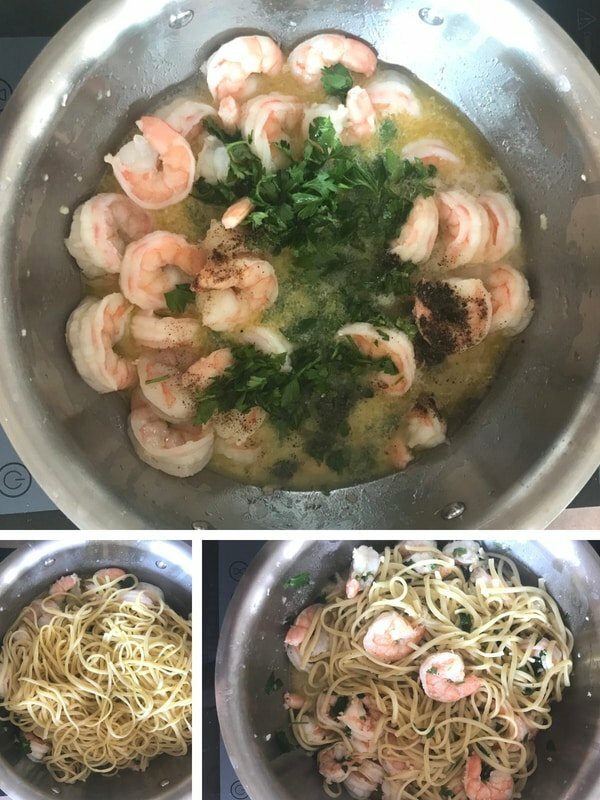 Reduce heat add salt, pepper, lemon juice, shrimp stock, parsley and the reserved half cup of pasta cooking water( if you chose to). Stir everything well and cook for two minutes. Add cooked pasta to the pot, mix then turn off the heat. Serve garnished with more parsley and red pepper flakes if desired. * To make shrimp stock, in a microwave safe bowl, I added the shrimp shells + 3/4 cup water and microwaved for about 2 minutes. Strain and use that water for more added flavor. ** For a more added lemon flavor you can use zest of half or even full lemon according to your preference. I did not add lemon zest as my kids do not like it. ***if you care for more sauce, add half a cup of the cooked pasta water to the pan. The starch in the water will thicken the sauce a bit allowing it to adhere to the pasta more. Excellent recipe. I will add more garlic next time, we can handle more :). I’m so glad you loved it Denise!!! Made this for my wife yesterday it was very easy and quick. She liked it and we will be making this again for sure. 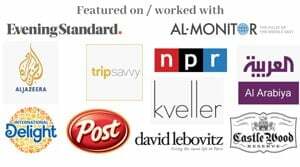 Sounds fabulous Marks! I am happy you both liked it. Kalley, make them 7 happy persons because I am very happy that you all liked the recipe. Thank you so much for rating the recipe and for the feedback. Yum!! The whole pan was gone in one sitting. Family favorite. Ashlee, thank you for trying this recipe. I am glad you liked it. I’m on a 100 day alcohol free challenge and this recipe was AMAZING. Considering my basic cooking level, this was so easy to put together. Owen, than you so much for your feedback. I am happy that you liked the recipe and it helped you in your challenge.